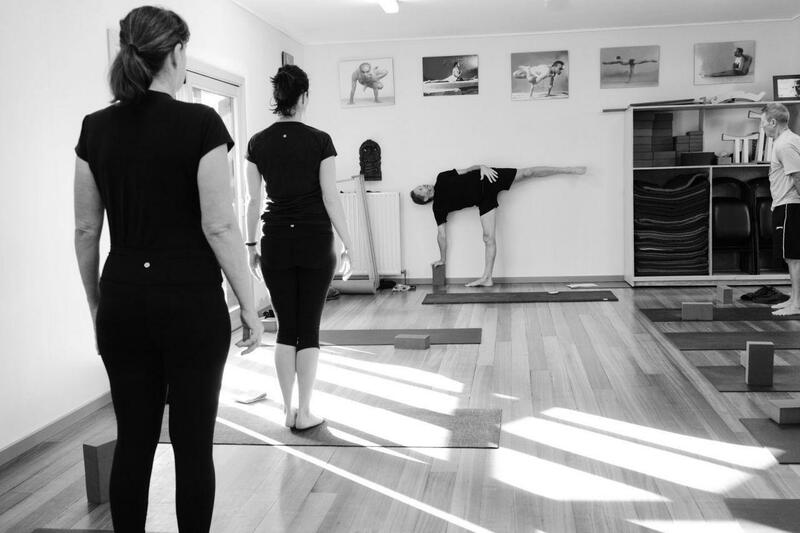 My favourite activity when not mowing the lawns is to peer into the yoga room and see what the mob is up to. They do look strange when up side down. I can't hang upside down but I can do asanas they have not even invented yet! Griffins Hill Yoga Retreat is a five-star experience. I feel at home the minute I step through the door. The views, the other guests and Clara the Corgi all combine to assure me that I will, once again, tune into tranquility during my stay. That is why I keep coming back. Each day, on my yoga mat, I remember what matters: breathing and gently giving my body the strength and stretching it needs. Frank is a warm and funny teacher, making us reach for our best, but inviting our laughter along the way. The wonderful meals are such a treat. We all gasp and ooh and aah as the plate are presented, and then we are into it, chatting and chomping. Forget Golden Door. Come to Griffins Hill Yoga Retreat to come home to yourself. I recently participated in a 3 day retreat at Griffins Hill. It was a present from my family for my 60th birthday. And what a wonderful gift it was to slow down and focus on being present by practising yoga, to walk in the bush and mountains and to be sustained by lovingly grown and prepared vegetarian meals. Jane and Frank have created a tranquil and welcoming haven at the foot of the Grampians. I hope to return one day and be welcomed again by them and of course by Clara the corgi and Tiger Lily and Winter Lily, the Eastern Grey Kangaroos. MargotMy adult daughter and I have just completed another wonderful retreat here. I try to come back once a year and it is always as great as I remember. Frank is such a wise and experienced teacher and able to cater for the individual needs of the diverse range of students who show up. In between the yoga sessions (often watched by the resident Kangaroos - Tiger Lilly and her joey Winter Lilly), we are well nurtured and nourished by Jane’s hospitality and food. Jane is an amazing cook and also has a huge garden to supply much of what we eat. It’s like dining in a top quality vegetarian restaurant for each meal. Frank also helps out with the food by providing us with his freshly baked sour dough each morning. Between yoga and eating, there is also time to explore the nearby Grampians with a range of walks easily accessible from Griffins Hill. We were fortunate on our last retreat to have Jane take us to see some native orchids she had just discovered. They were tiny and so beautiful. If you have promised yourself that you are going to look after yourself more and do something to really nourish and refresh yourself, then coming to Griffins Hill for a yoga retreat is a great way to do it.